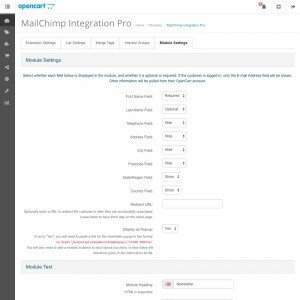 Automatically pass newsletter subscription information from your OpenCart site to your MailChimp newsletter list (and vice versa) behind the scenes, making less work for you! 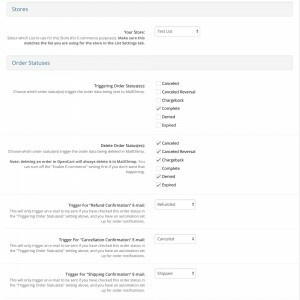 Customers will be synced during standard registration, checkout registration, and when admins perform actions in the admin panel. 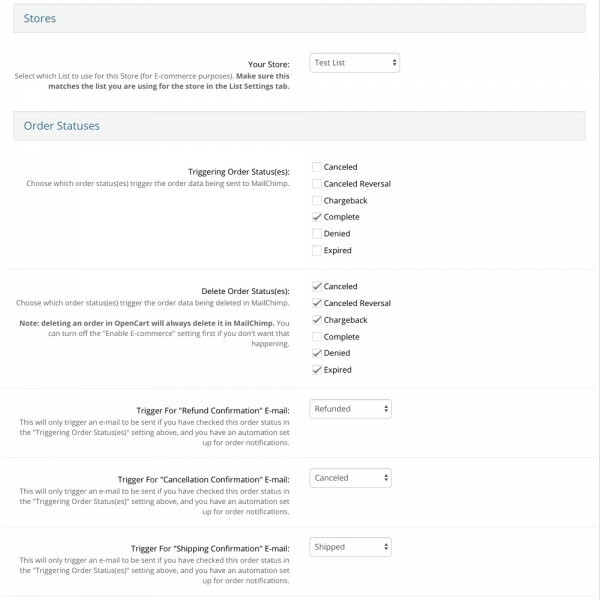 This extension also includes a sidebar module, to allow non-customers to sign up to your list. 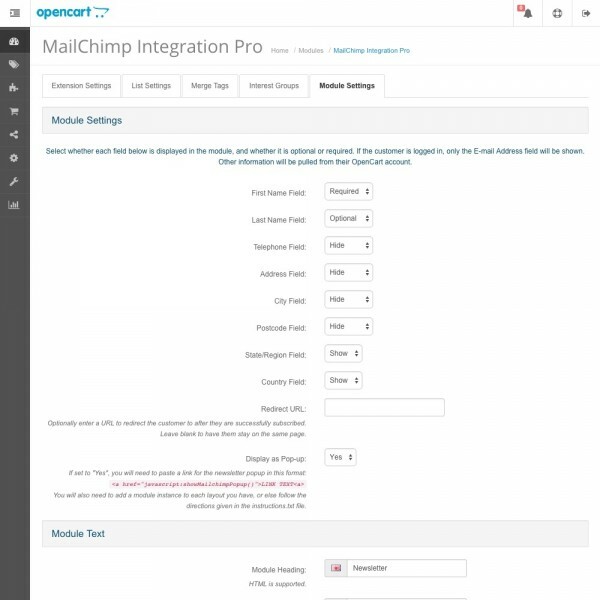 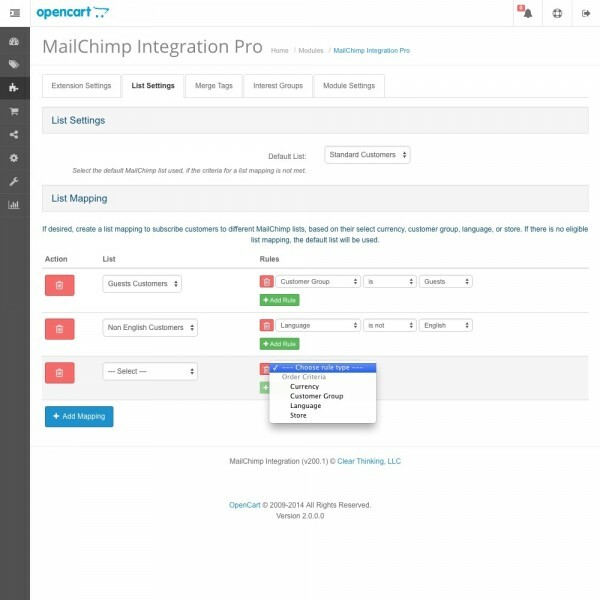 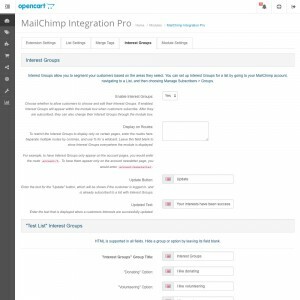 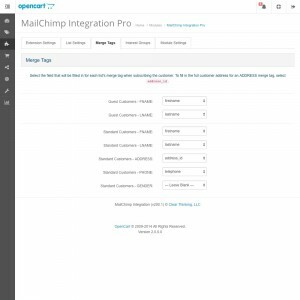 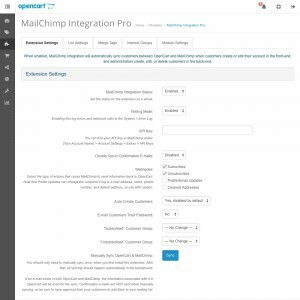 Includes all the features of the standard MailChimp Integration extension. 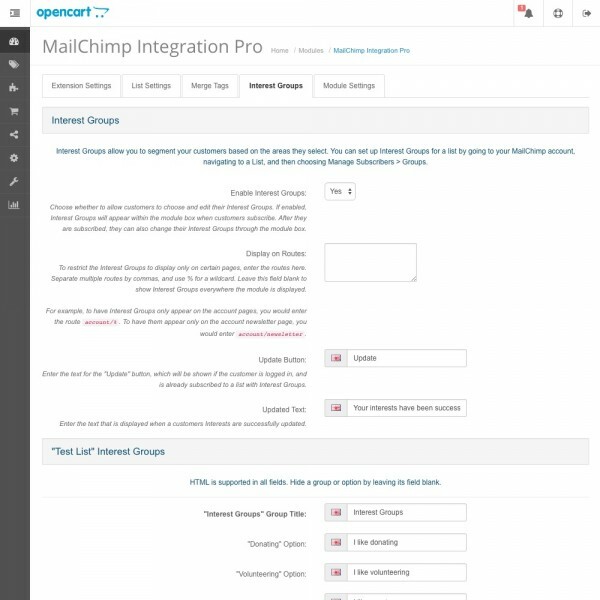 Sync with different MailChimp lists, based on store, language, customer group, and/or currency. 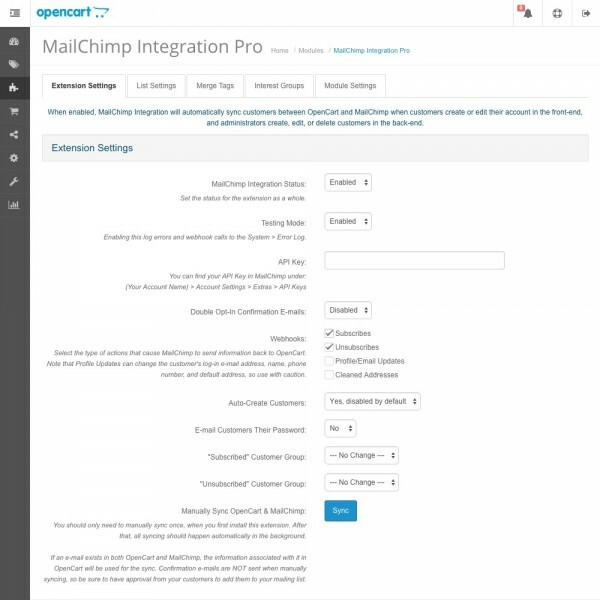 Send orders to MailChimp using the integrated e-commerce functionality. 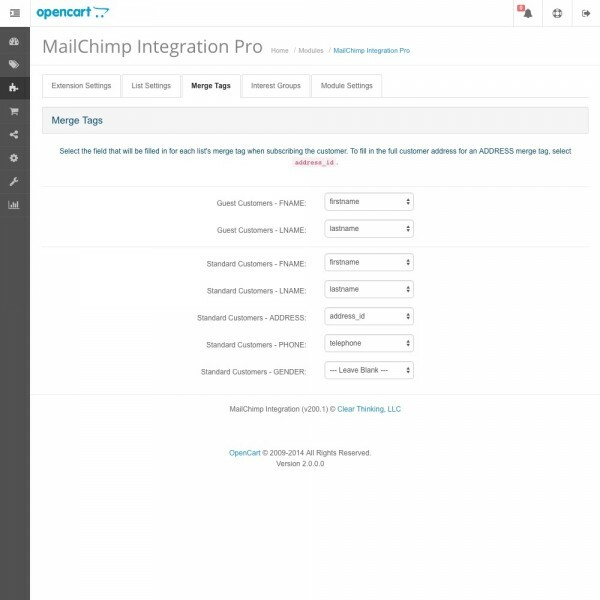 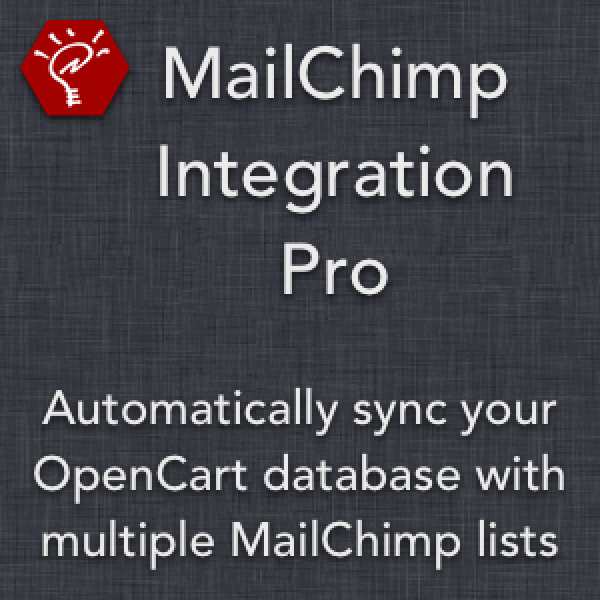 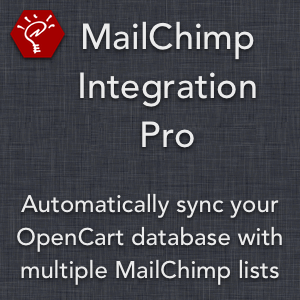 Includes support for sending cart data, allowing you to create Abandoned Cart automation workflows within MailChimp. 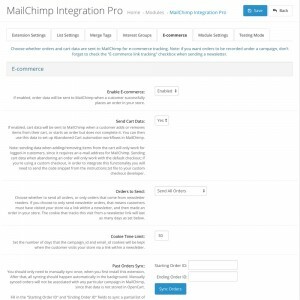 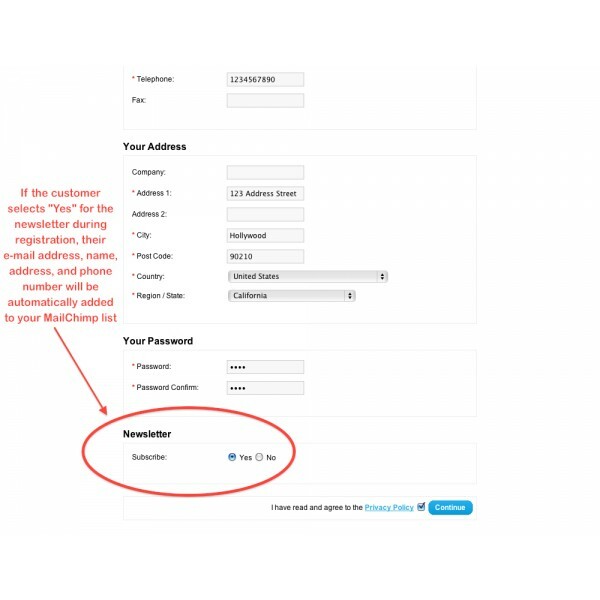 Map any customer data column to your MailChimp list merge tags. Add telephone and address fields to the included newsletter sign-up module. 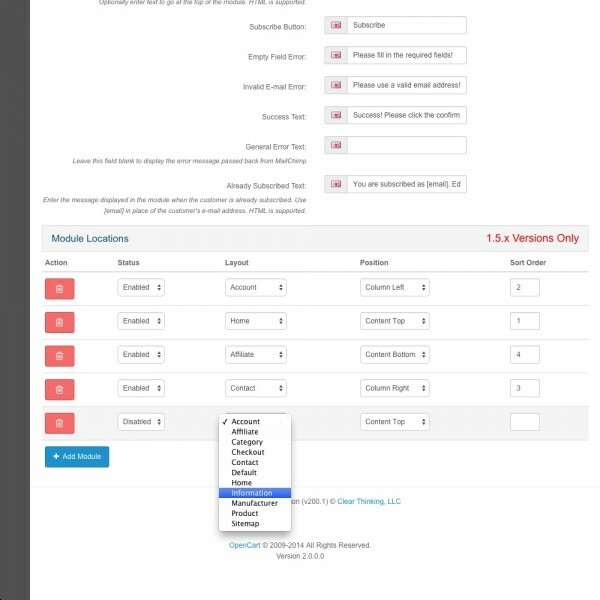 Choose to display Interest Groups within the module box, and the pages on which they appear. 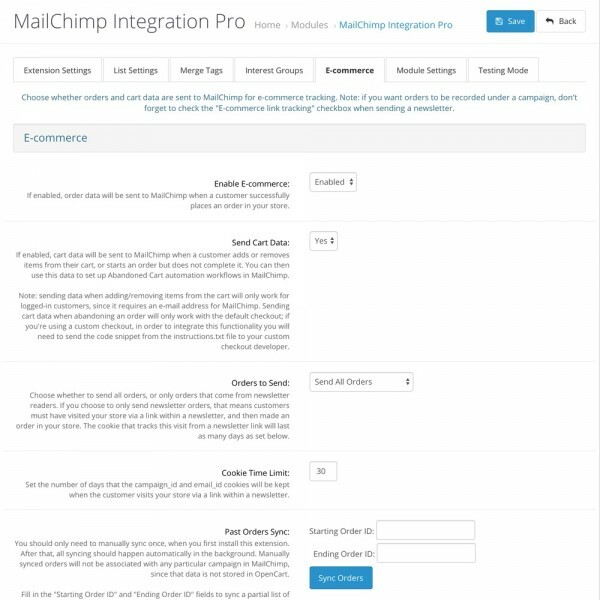 Customers can subscribe and edit their interests at any time.